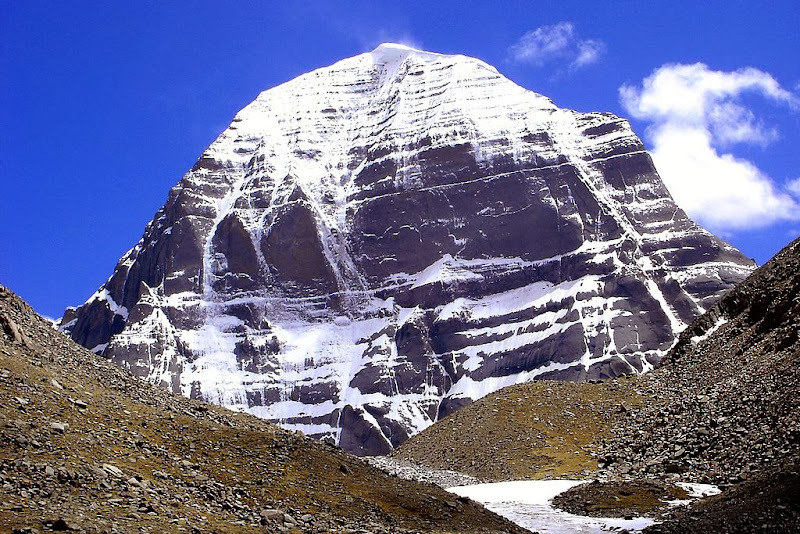 A friend of mine had just returned from a pilgrimage, a demanding one at that, to Kailash and Mansarovar and he feasted me with a vivid narration about his trip to the grandest of the Himalayan spots and its most bewitching and overpowering beauty, with a generous touch of reverence and devotion. It was not the picturesque gleaming beauty of Mount Kailash or the spotless design of nature’s art unfolding on the Himalayas or the vibration of the supreme order experienced during the Parikrama around the magnificent Mansarovar lake, not even the grandeur of sunrise and sunset on the lake perched at 4550 metres above the sea-level that riveted my mind. 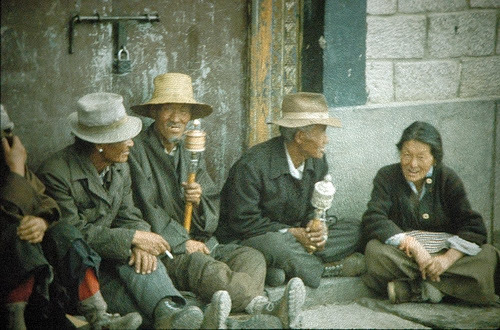 It was a passing reference to the poor Tibetans who beg on the way for anything that the pilgrims could part with. To my pointed query as to what exactly were the things that those Tibetans wanted, his reply was abrupt and at once very disturbing. “Anything, they just have nothing”! 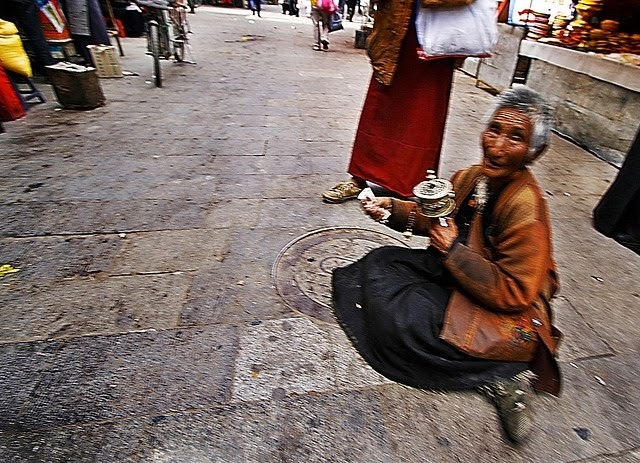 The whole of Tibetan populace have been subjugated and kept in abject poverty by the colonizing Chinese. Who is to blame? Chairman Mao or the bungling Nehru whose overzealous acceptance of China’s sovereignty over Tibet made India lose a strategic buffer zone, which eventually facilitated the Chinese aggression of 1962. The megalomaniacal Nehru’s Panch Sheel was a fiasco and India suffered an ignominious defeat in that war. China still occupies thousands of square kilometers of Indian territory and is perpetually teasing us with more incursions still. I do not intend to dwell deeper into that sordid saga. If interested, you can read about it here and here. News trickling in about the happenings in contemporary Tibet is very distressing indeed. You hear about the self-immolation of Tibetan monks every other day (perhaps they have not graduated from the school of Fidayeens). Also about the irony of Shangri-La. Now, in an effort to ease my conscience, let me shift my focus from the Tibetans in Tibet to those domiciled in Karnataka, which houses the second biggest settlement of people of Tibetan origin next to Dharmashala in Himachal Pradesh, where Dalai Lama heads a peaceful Tibetan government in exile. The place is Bylakuppe near Coorg (Kodagu) in Mysore district of Karnataka. The Namdroling Nyingmapa Monastery, the largest teaching center of Nyingmapa in the world. The famous “Golden Temple” is also part of the monastery. The walls of the Golden temple are adorned with colourful paintings depicting gods and demons from Tibetan Buddhist mythology. Three beautiful and huge golden Buddha statues look down at visitors above the altar. The altar is decorated with flowers, candles and incense, and small birds nesting amongst the golden statues fly happily around the temple. Photography is unrestricted inside and around the temple. I had the opportunity of visiting this temple with its glittering and very impressive architecture. There were Tibetans everywhere, monks in maroon and yellow robes, walking along, chatting outside Tibetan looking (spartan) lodgings and shops selling very Tibetan curios. Chanting of hymns by young monks-to-be in unison reached a crescendo accompanied by rhythmic drum beats punctuated at intervals by a crack of cymbals. Standing there and listening to that chorus of sinusoidal rhythm was an absorbing experience. I wish to share with you a few snaps shot by me at the Golden Temple.